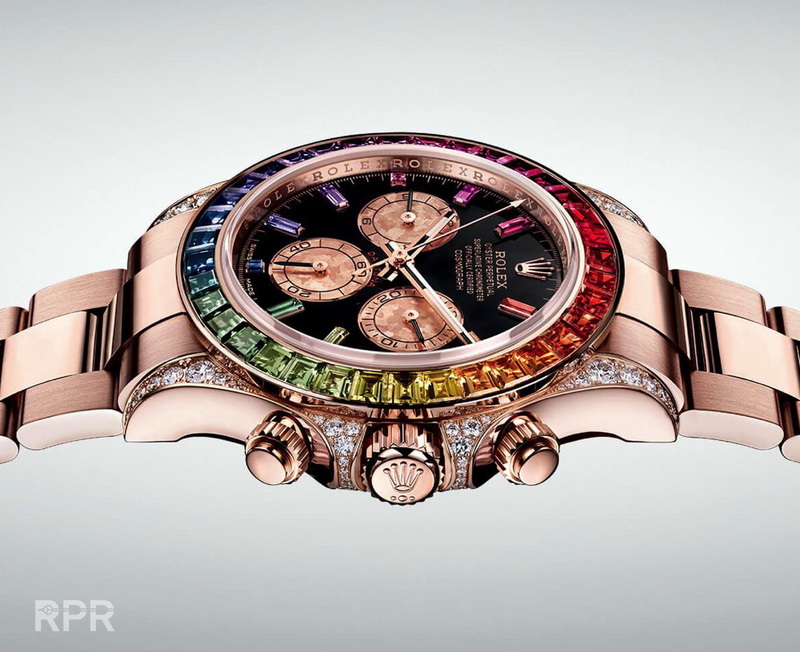 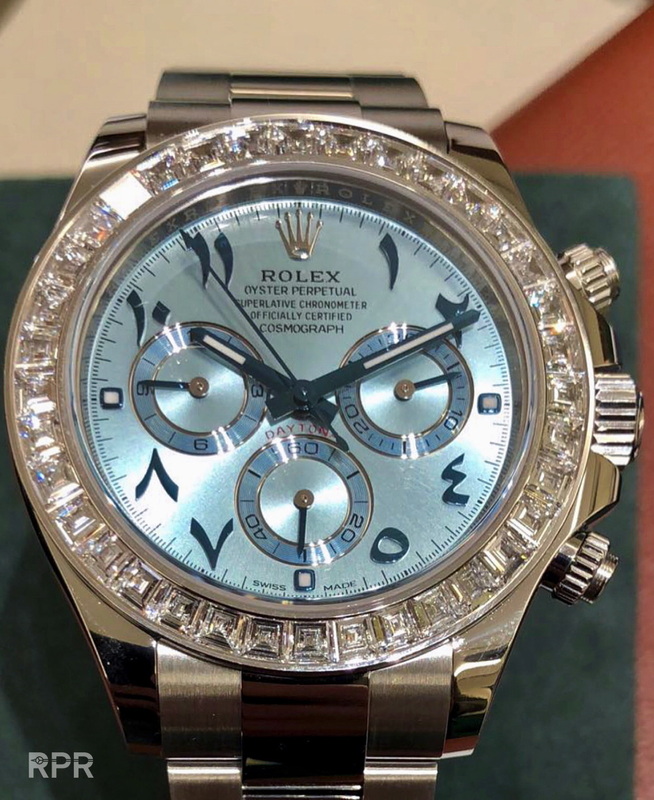 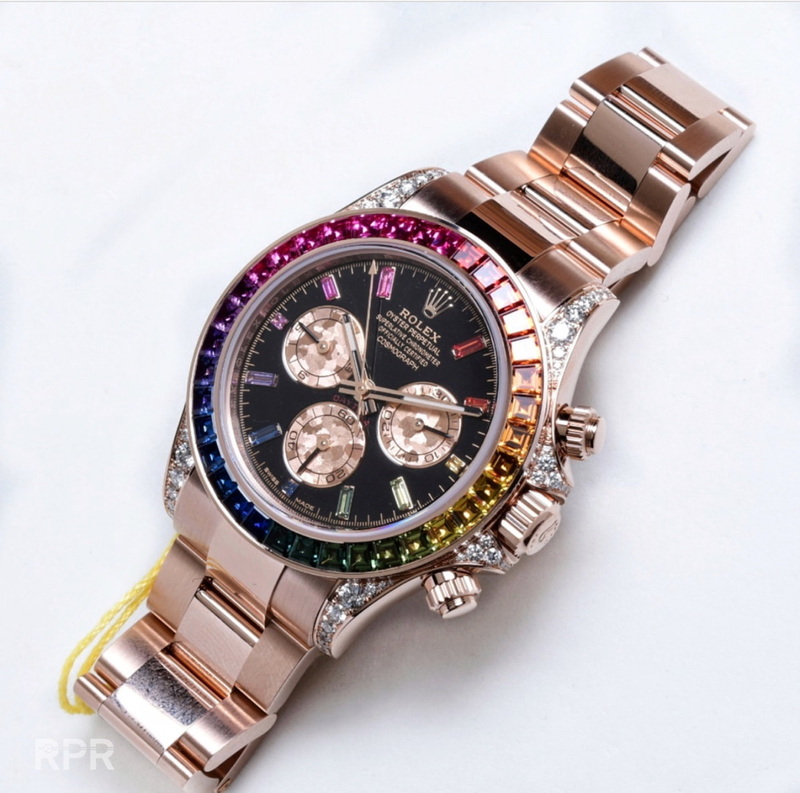 Live picture from so far unshown new diamond Rainbow Daytona…. 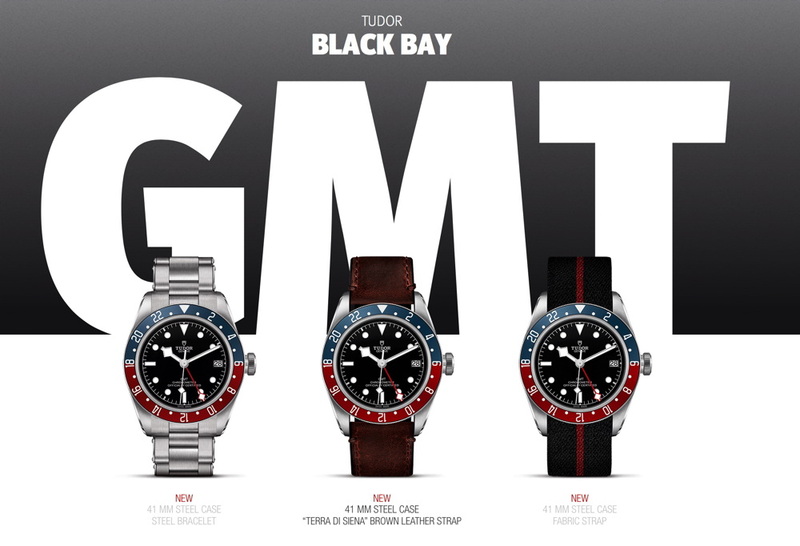 Tudor, Rolex second brand is much more into heritage design, which proofs there newcomers for Basel 2018.. 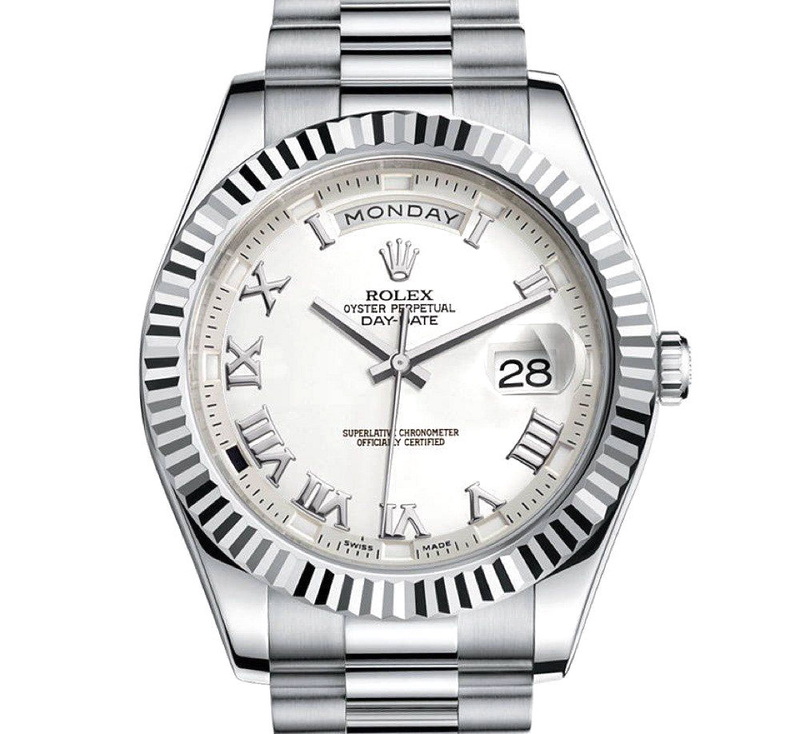 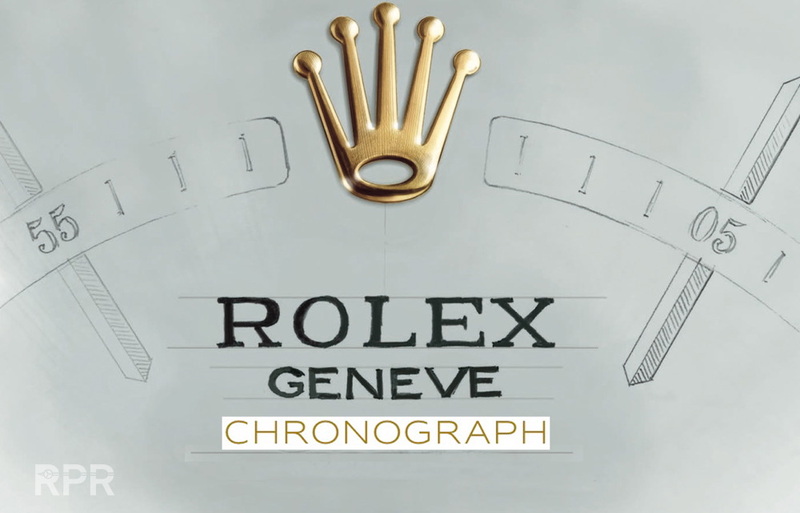 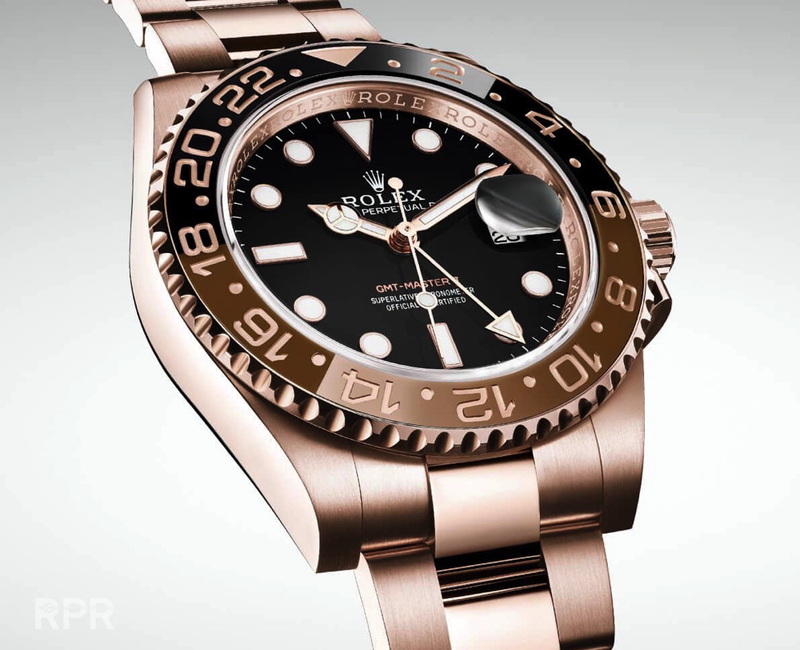 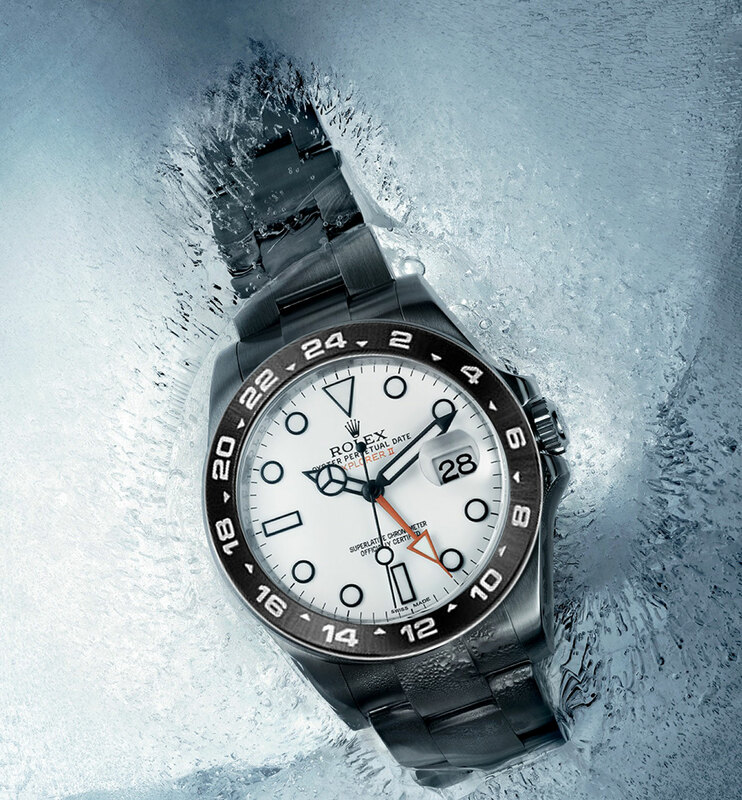 In the trailer the back of the stainless steel Sport Rolex is clearly visible. 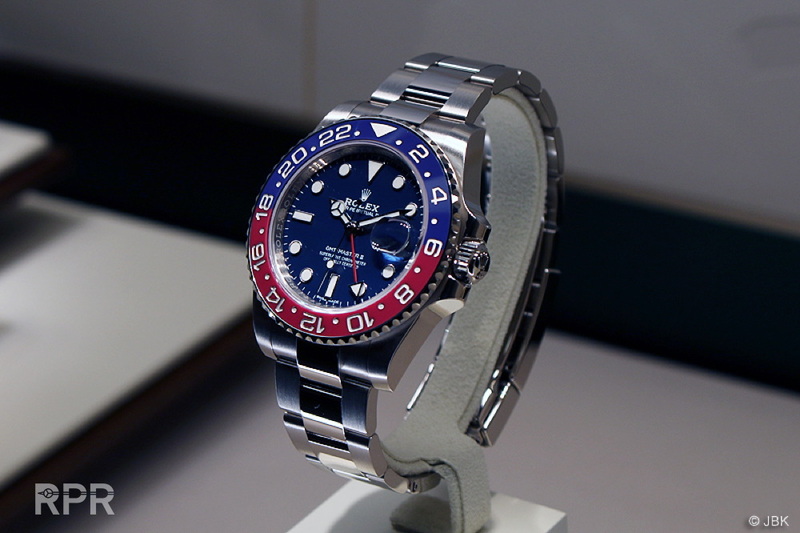 No brainer it’s gonna be the new steel GMT Master on jubilee. 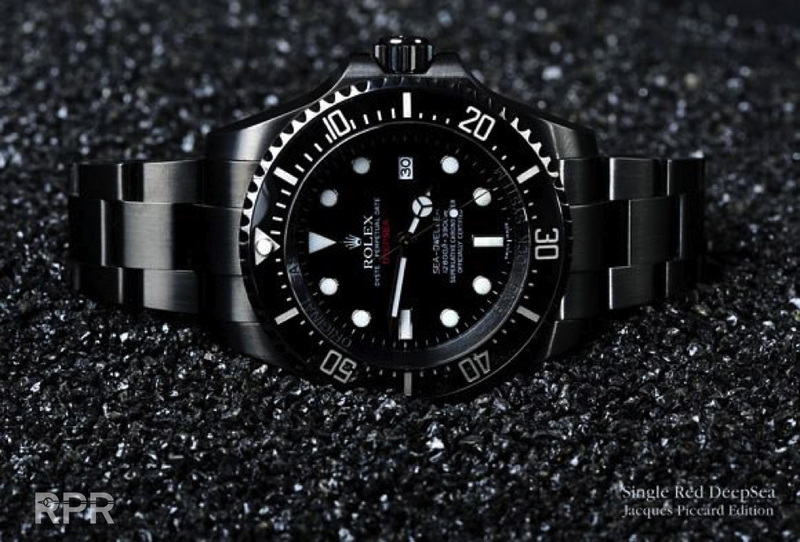 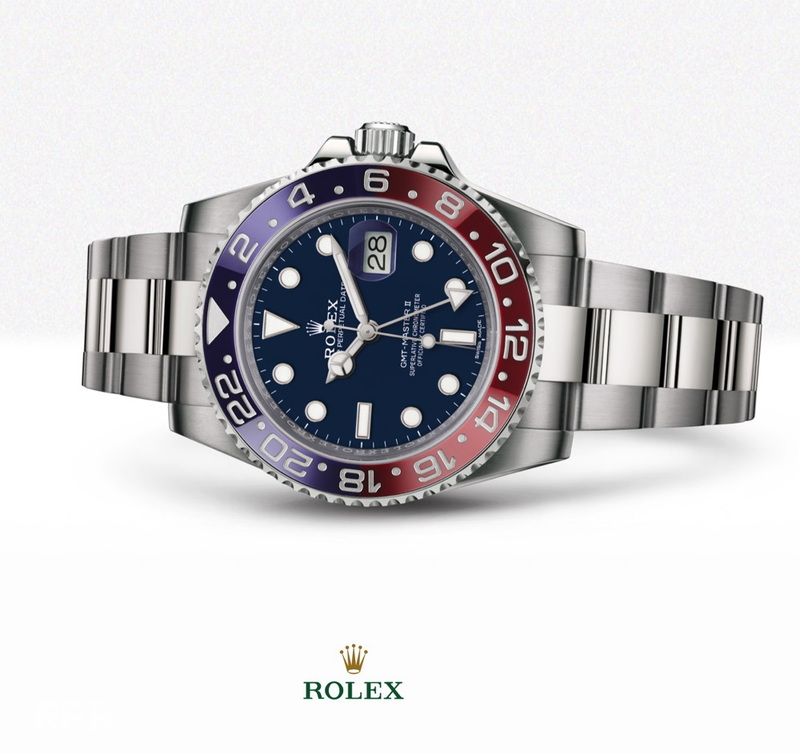 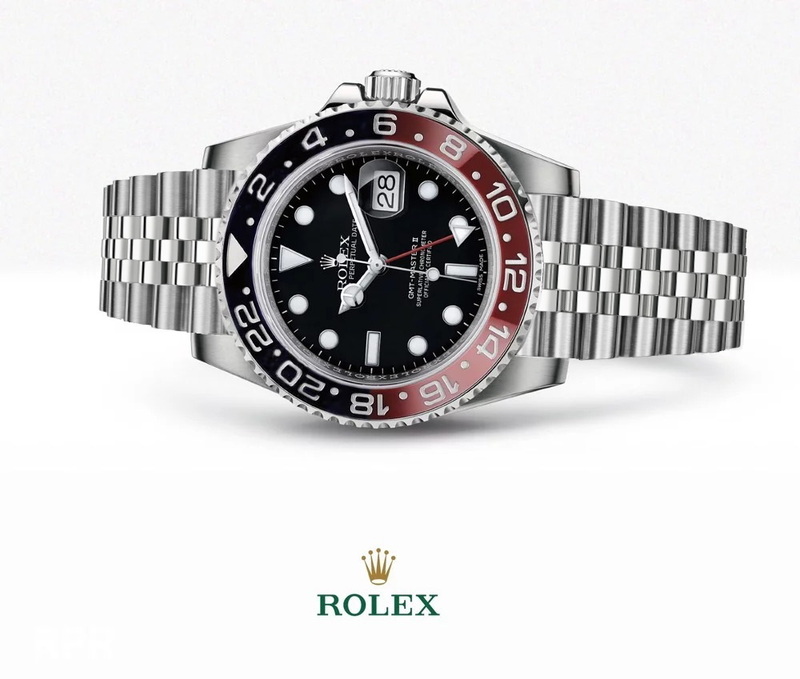 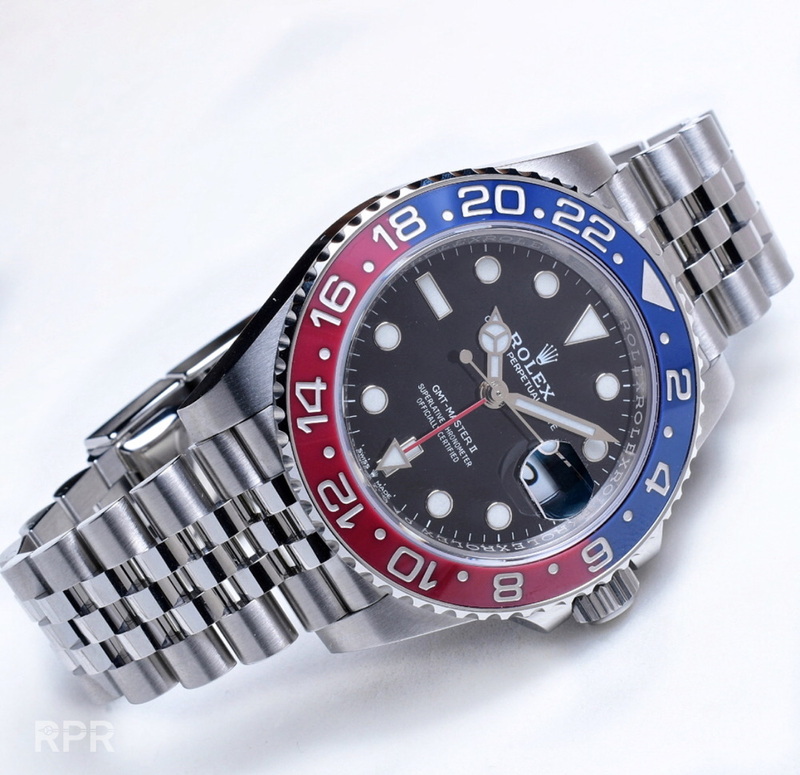 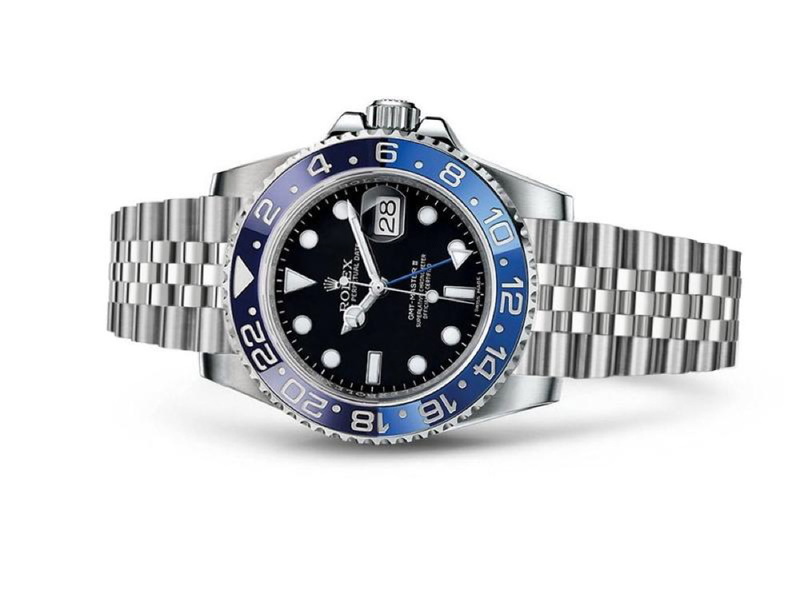 Rolex ‘invented’ a new jubilee bracelet, which they will most probably introduce of the new stainless steel black/red GMT Master…. 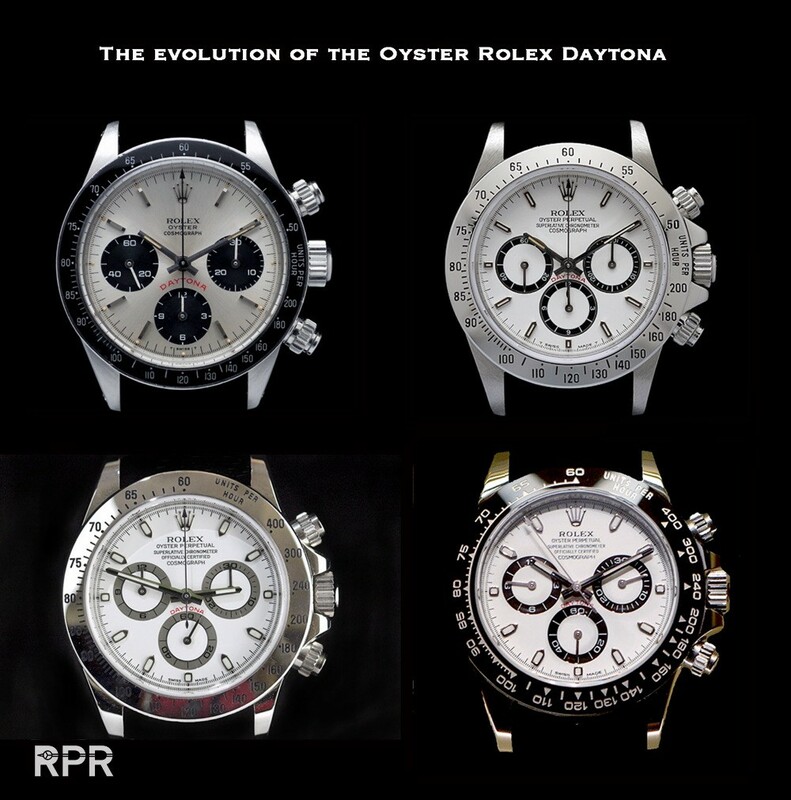 Rolex started transforming in 2009 their collection also, after being lost “design wise” for a decade (think of Leopard Daytona), when Rolex had to change their lossy strategy after Mr. Heininger Jr died. The first real heritage designed Rolex, now with orange heritage detail, was the Explorer II in bigger 42mm case after the “thunderbolt” second hand in the Milgauss. 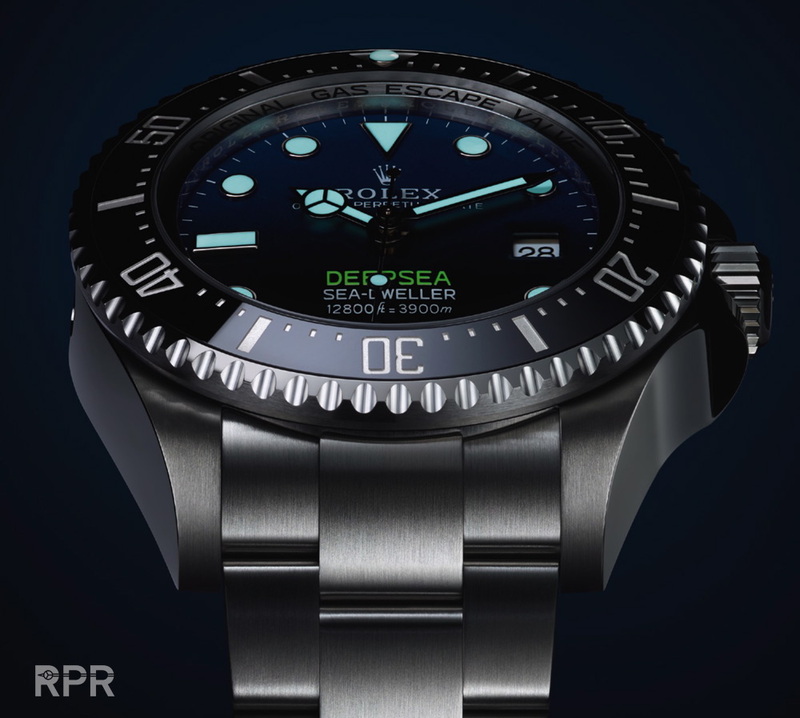 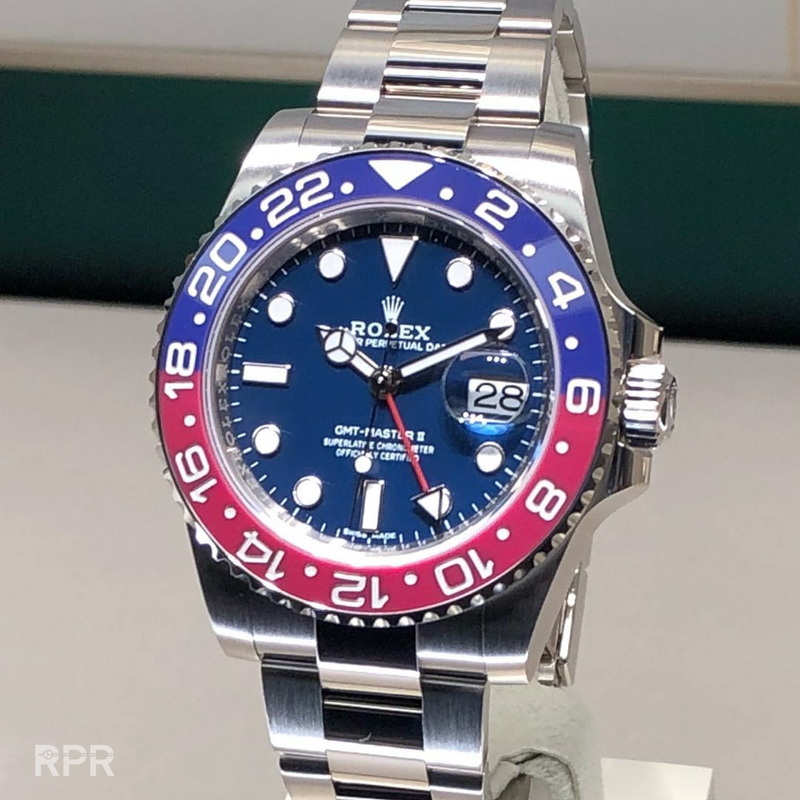 The new Deep Sea was all about the iconic deepest dive by Piccard & Walsh and later redone by Cameron , the GMT Master got it’s iconic blue & red ceramic bezel as did the steel Daytona and last year the single Red Sea Dweller was not really a surprise either…. 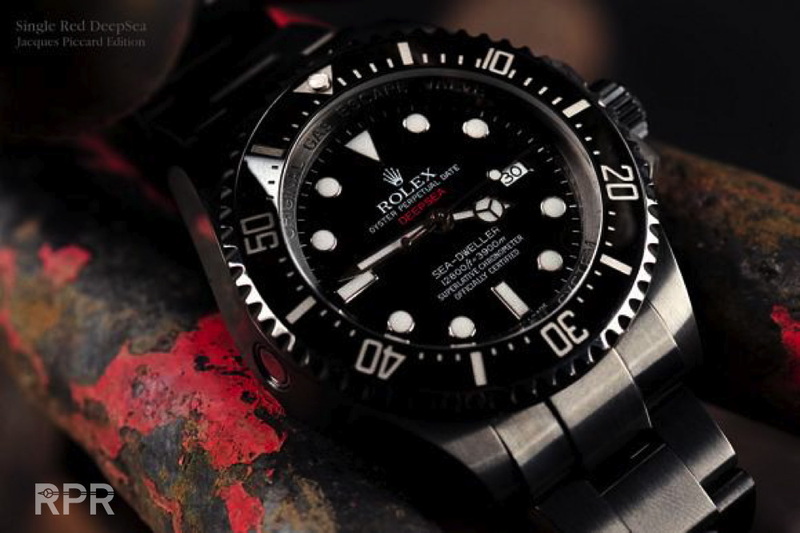 10 years later after my “Single Red DeepSea” design, Rolex brought back the iconic red writing for their super tool watches…. 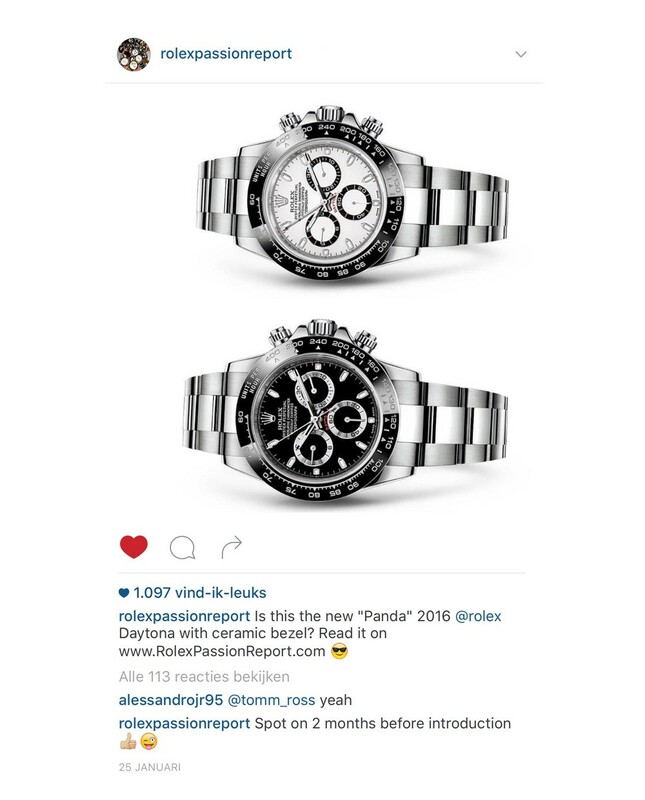 Predicted like 2 months prior Basel World 2016…. 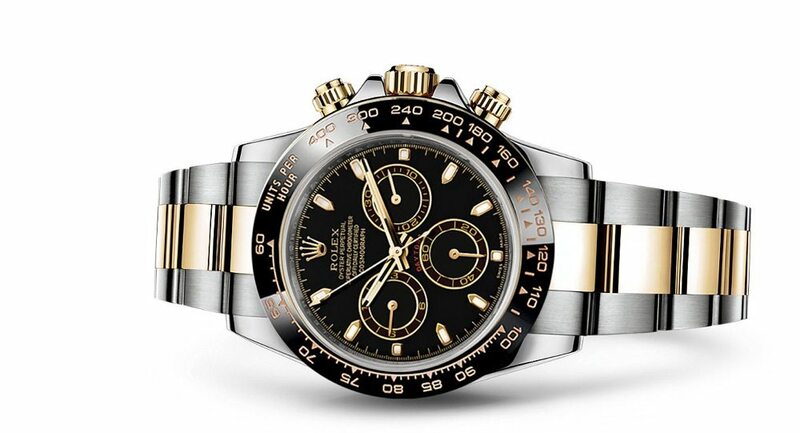 Logically 2018 should bring the bicolor Rolex Daytona being”ceramic bezelished”…. 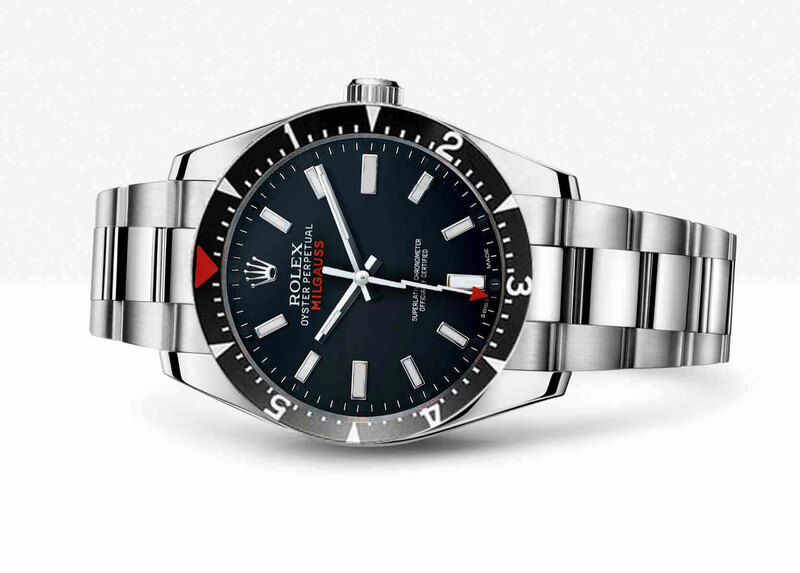 Apropo bezel, I really think it has become time that the Rolex Milgauss get it deserved turning bezel instead of the plain one and could look like this. 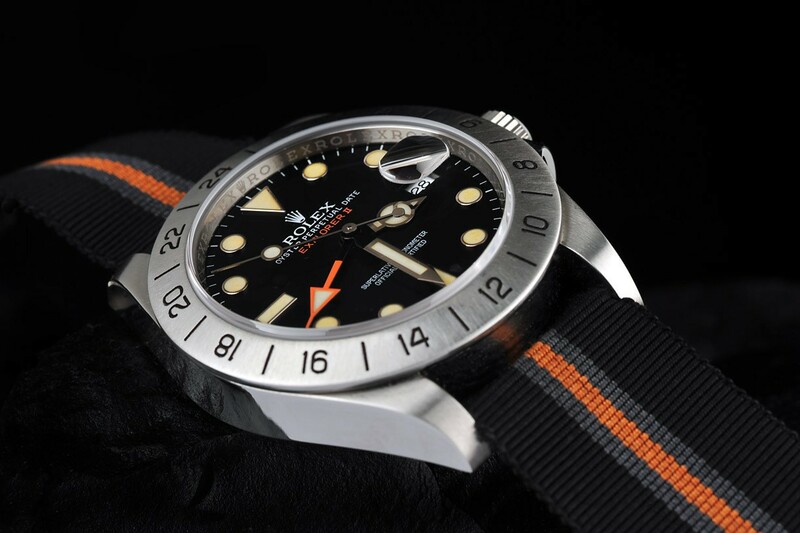 Although the accents would be better of in red then orange, I still believe this could become a instant hit! 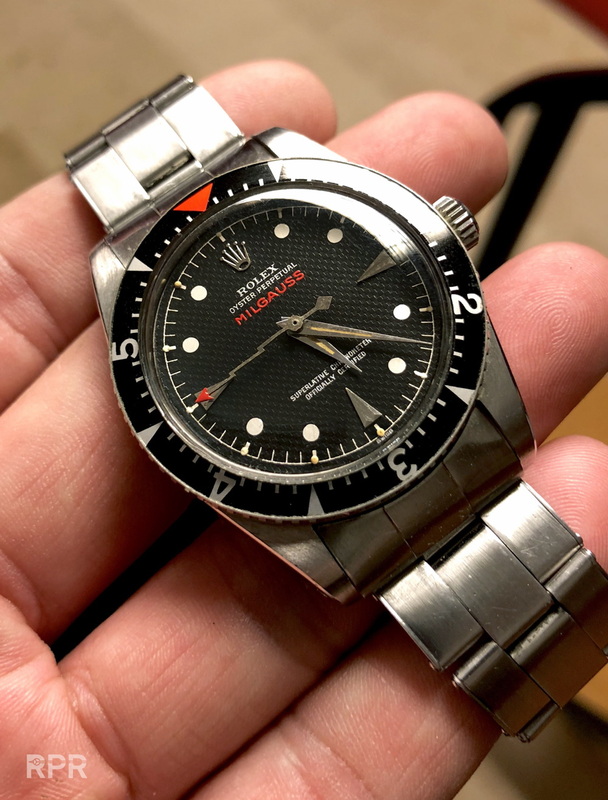 It looks even better when I take off all orange minute and make the look more clean, more Rolex..
Vintage Rolex Milgauss reference 6541…. 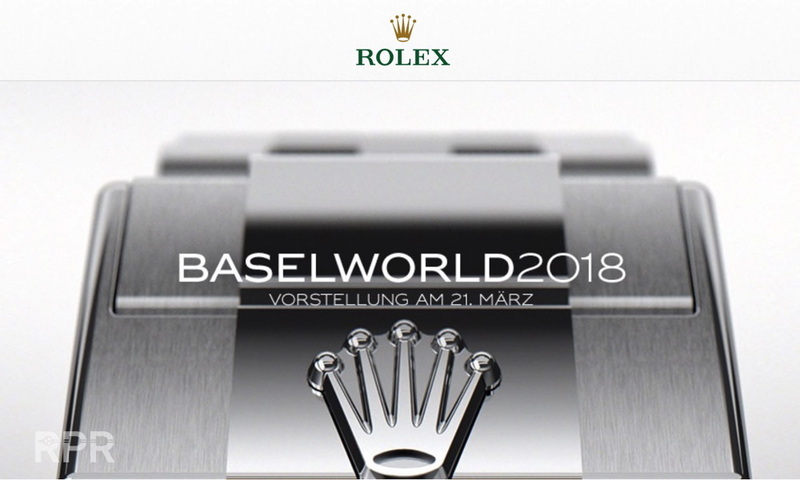 Possible 2018 New Rolex Basel announcements…. 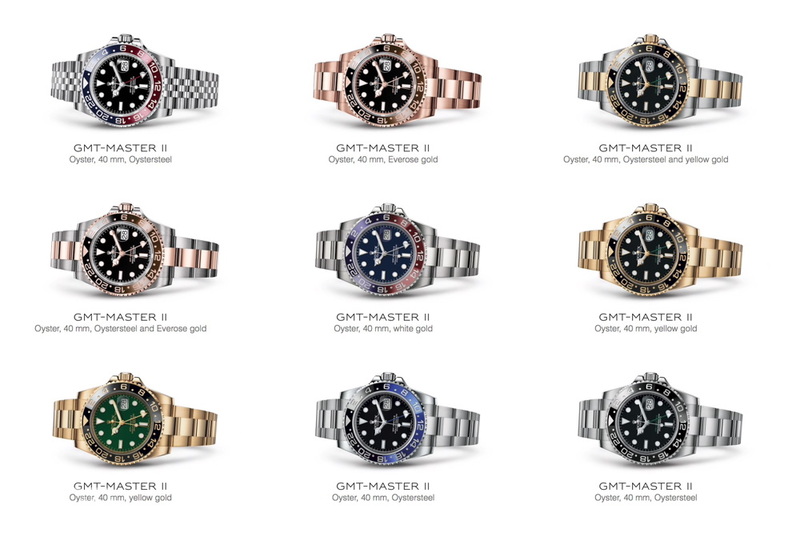 I still believe theirs plenty of room to add the all blue GMT master as well. 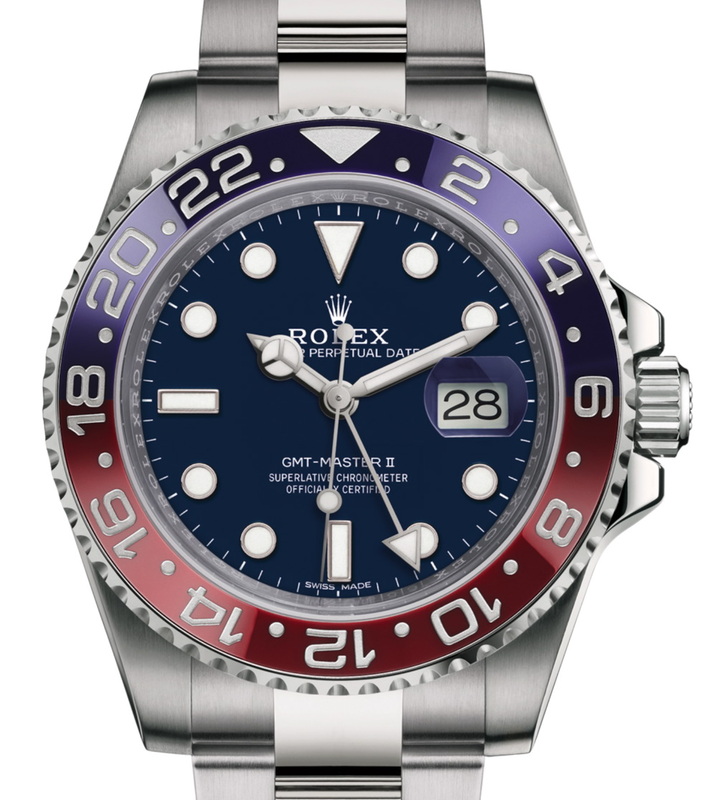 I read that many would like to buy it if Rolex takes it into production, I also think that it would indeed become an instant hit. 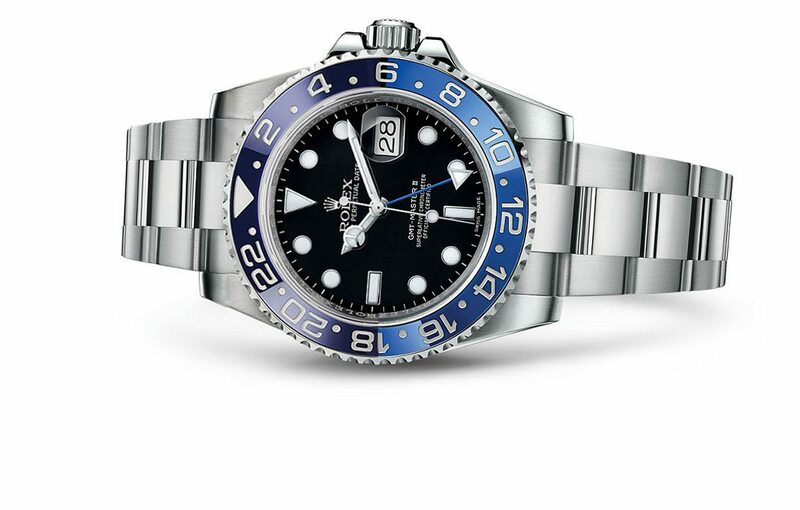 The color blue referring to the blue sky, where the GMT master was made for, it’s black dial and steel case you can wear at any occasion. 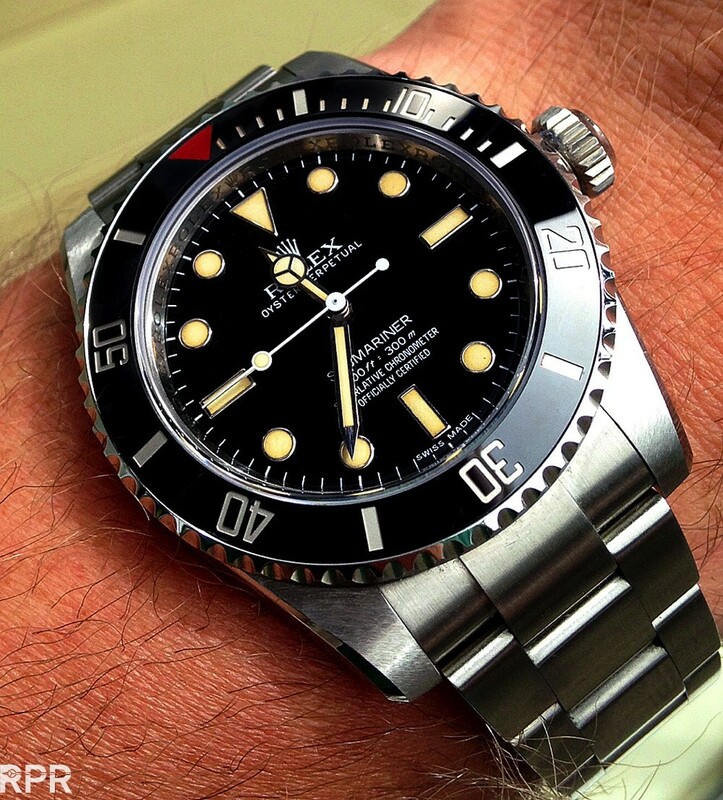 It’s just another bezel, no rocket science! 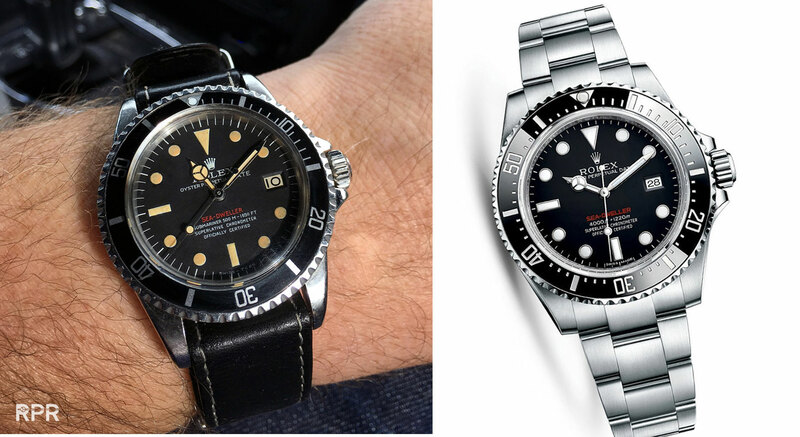 With jubilee or with oyster bracelet…. 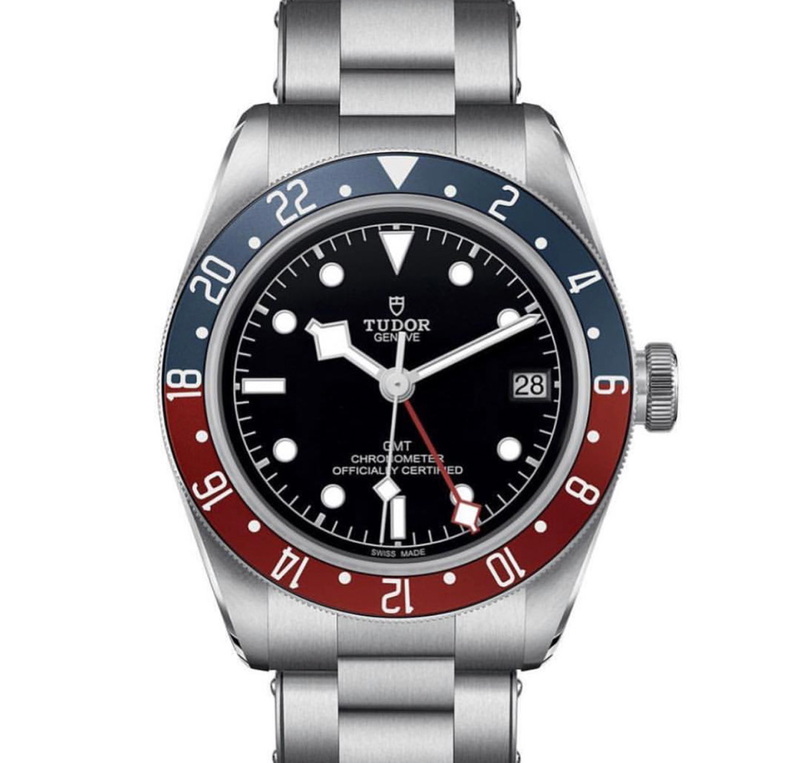 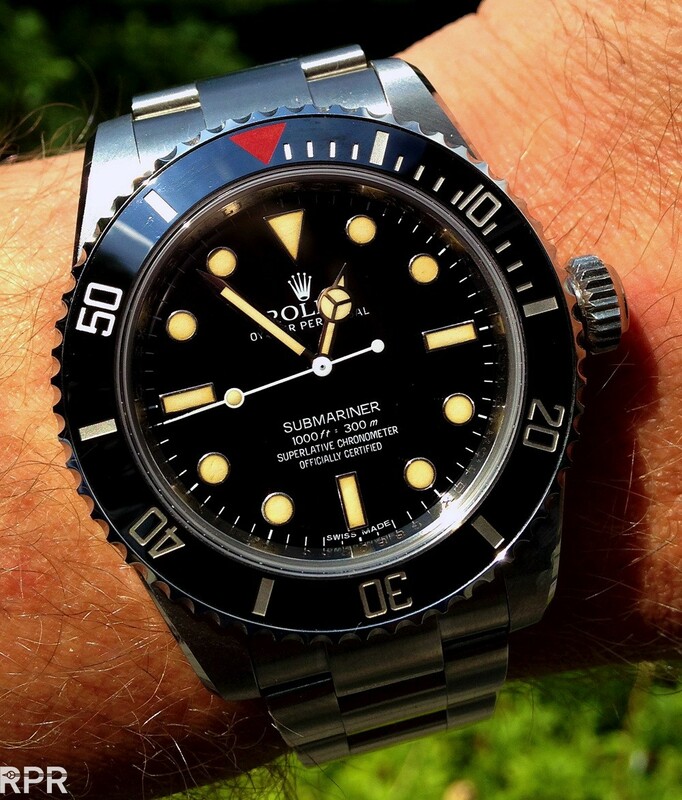 But most logic next step would be to change the regular black steel GMT and change the green into red as I show you below..
“Heritaged” bezel like I did with my 2012 Hillary & Tenzing Edition…. 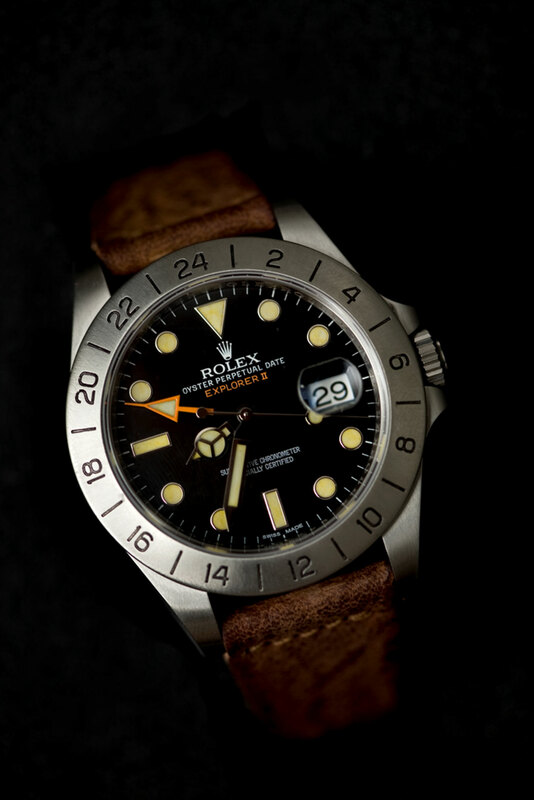 An hommage to Hillary & Tenzing…. 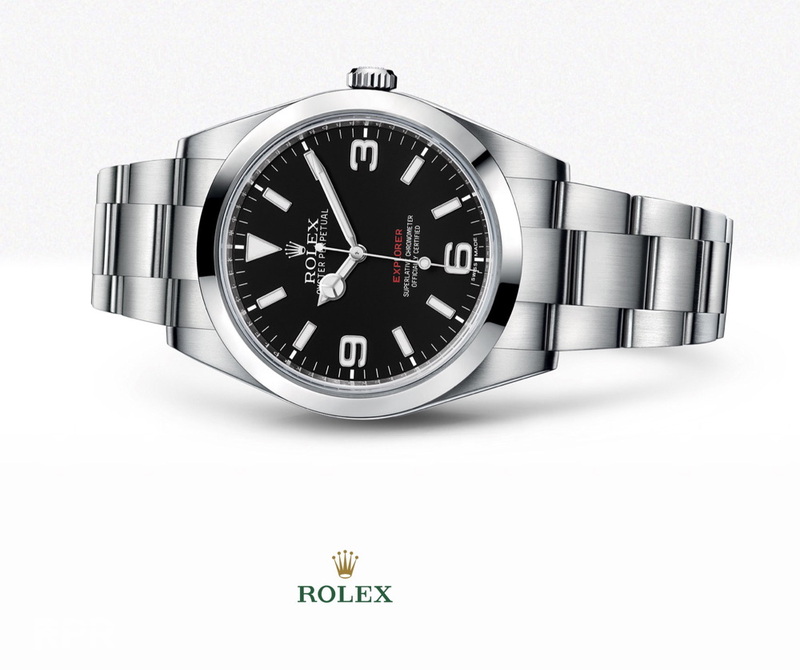 The Explorer I could also use some red on the dial….Look how nice, it really makes the dial stand out! 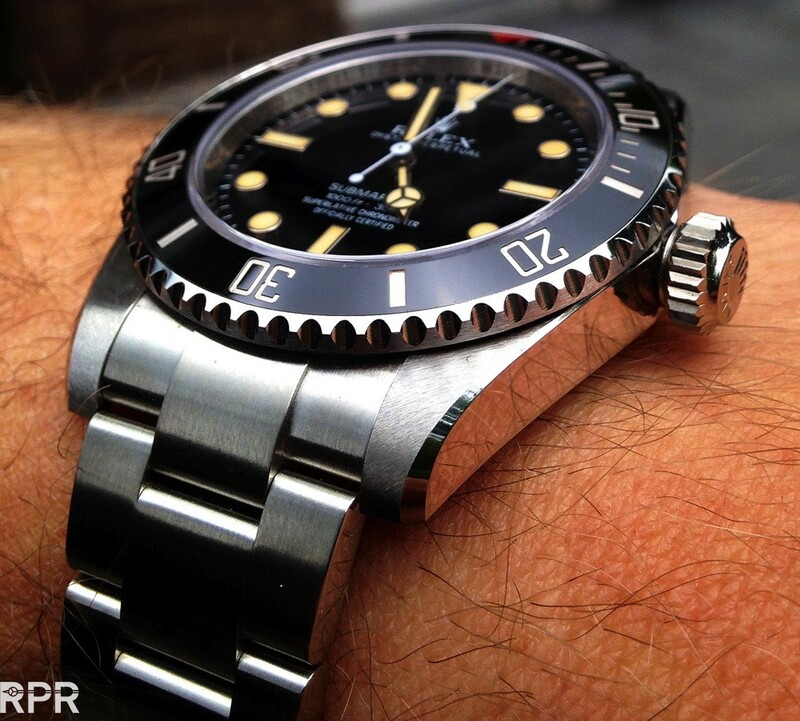 I also believe that Rolex Oyster cases should get their “bevels” back. 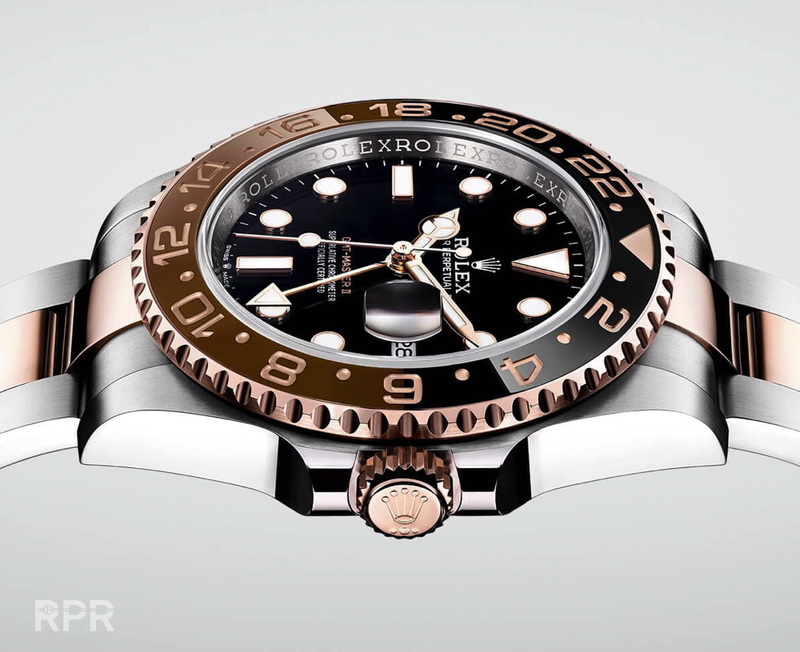 Not only is it making the case much more elegant, the glossy polished champfer will also become future condition indicators, which makes each Rolex more collectable. 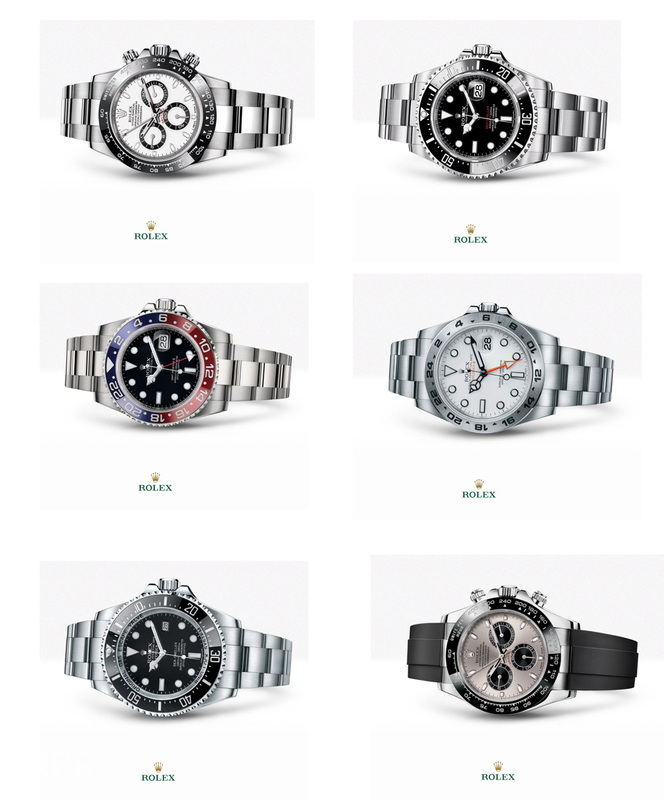 Over the years I’ve experienced that Rolex is rather a slow company. 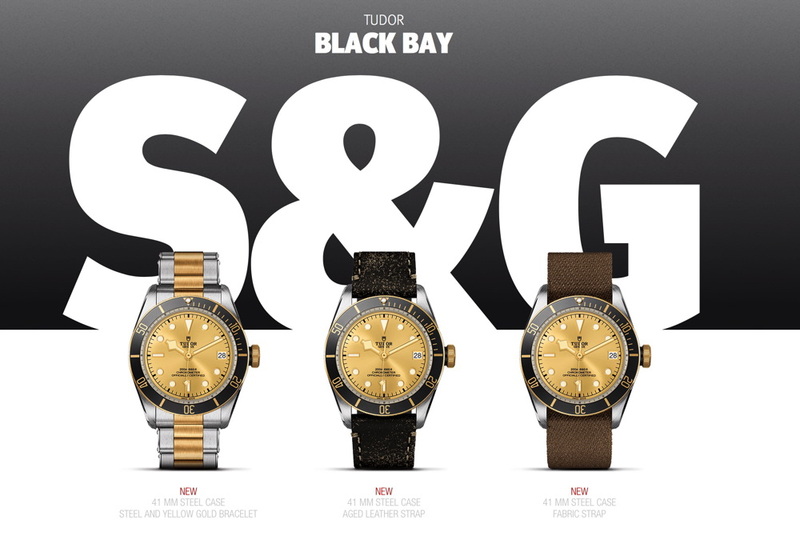 Not slow in terms of producing their watches but slow in terms of changing their strategy. 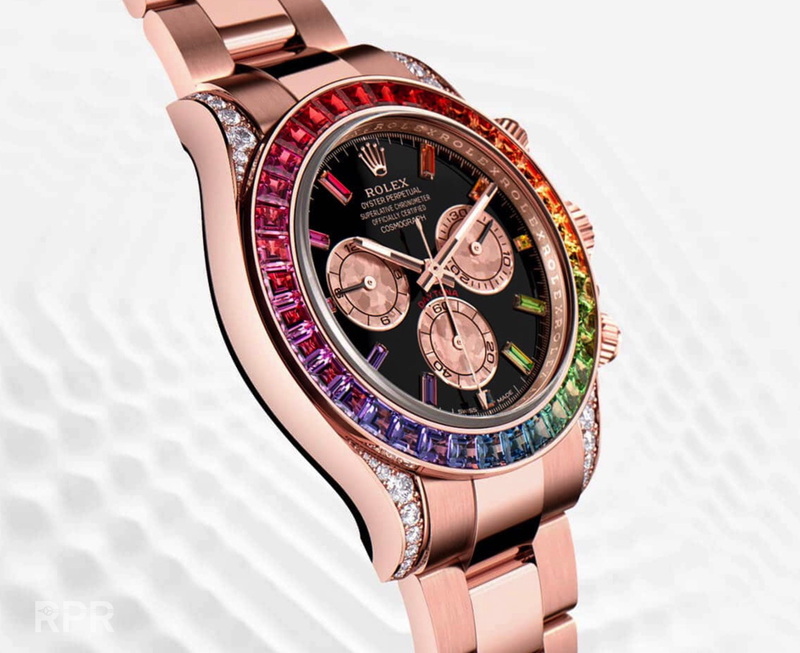 Even when has been proven ( like terminated Prince collection) that a different direction, design etc would be more effective ( read profitable ), the mothership waits long before it reacts. 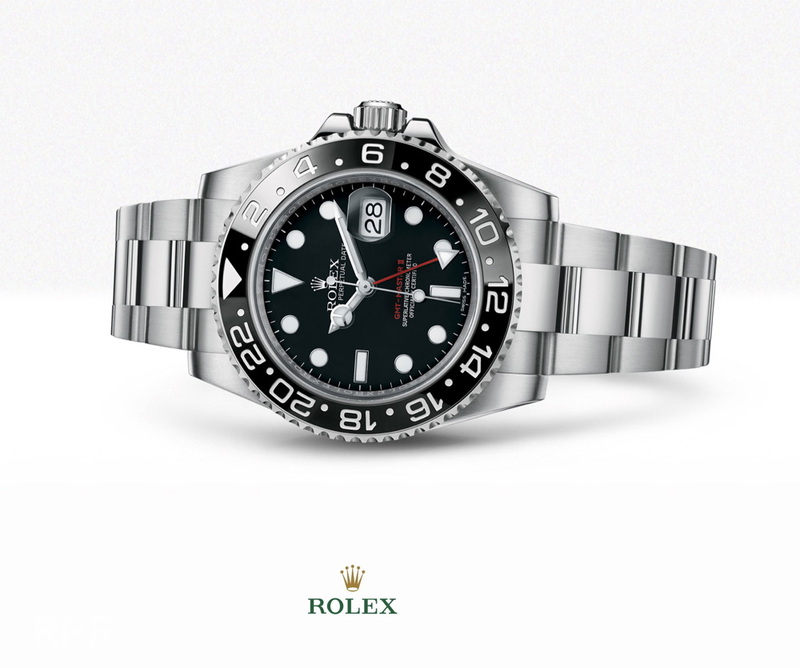 This year I feel like Rolex could come with something new and exciting that they have been prepared in the background. 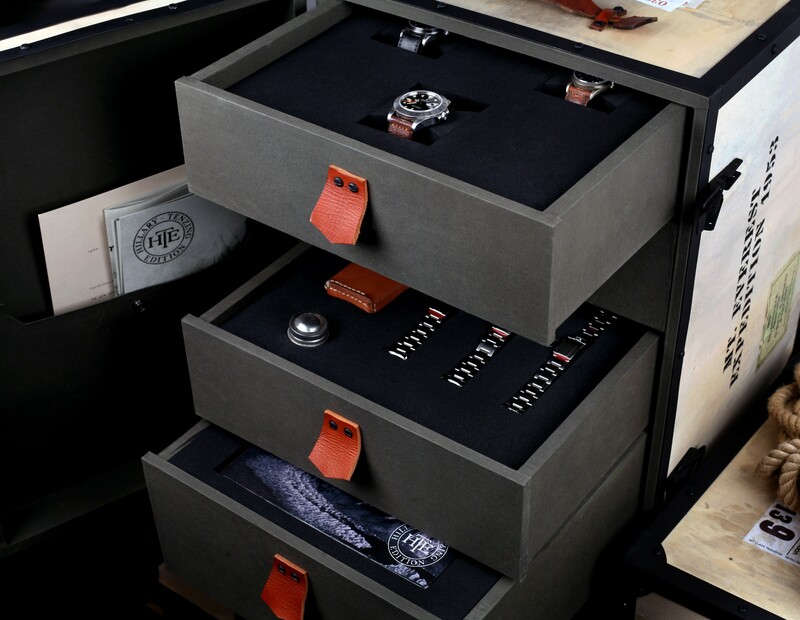 When I look at their current collection line up all corners are covered and every reference has been updated in size, color and material. 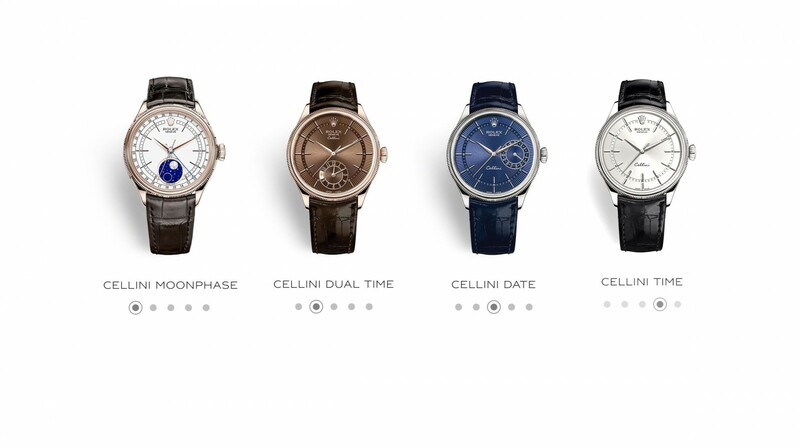 The only line that needs improvement imho is their below Rolex Cellini collection. 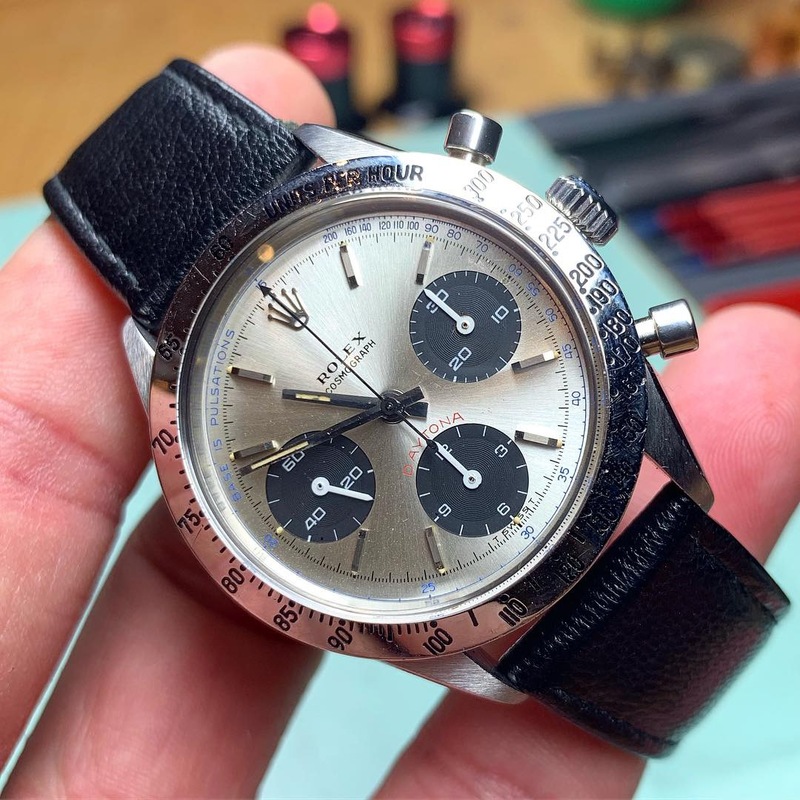 Since the Rolex Daytona has reached in 2017 the ultimate cult status after the $ 17.75 million record sale of Mr Newman’s Paul Newman, we see collectors picking up other Rolex chronograph references, in particular Pre- Daytona and earlier Oyster & Non Oyster chrono’s. 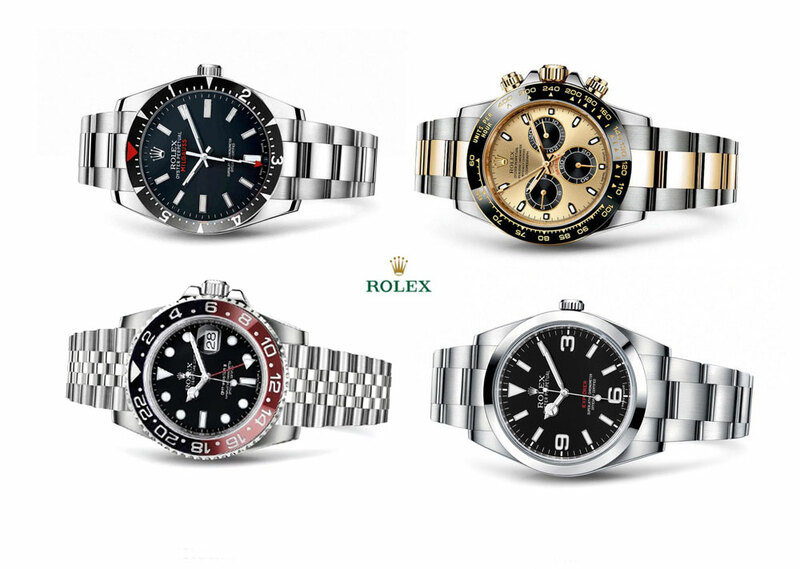 With other words, historical there’s plenty of room for adding a new Rolex chronograph next to the Daytona! 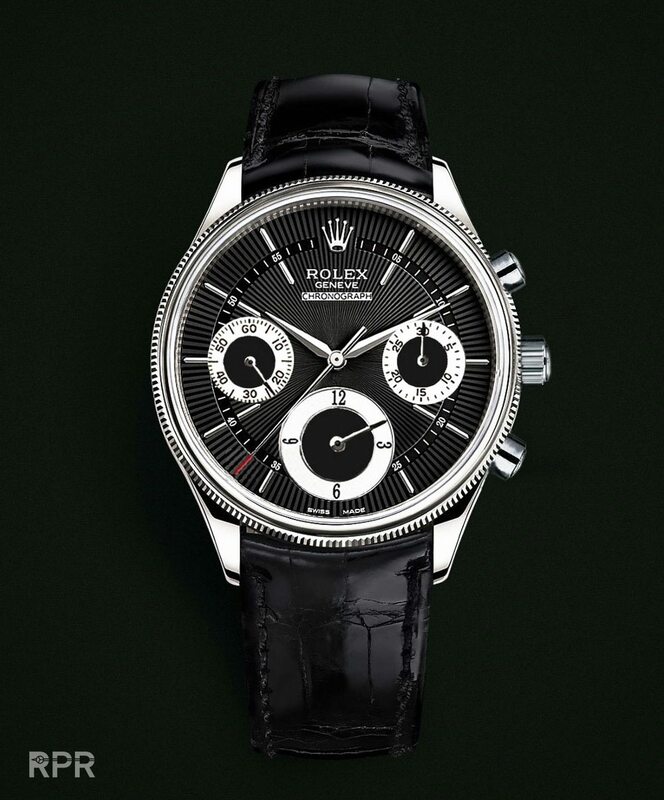 Therefor I think that Rolex could surprise us with a new chronographs caliber, added to the Cellini line. 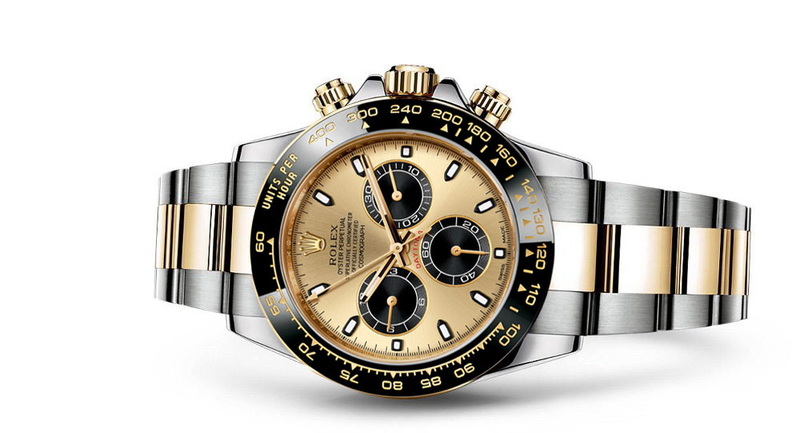 A new elegant stopwatch next to the iconic Daytona in precious metal. 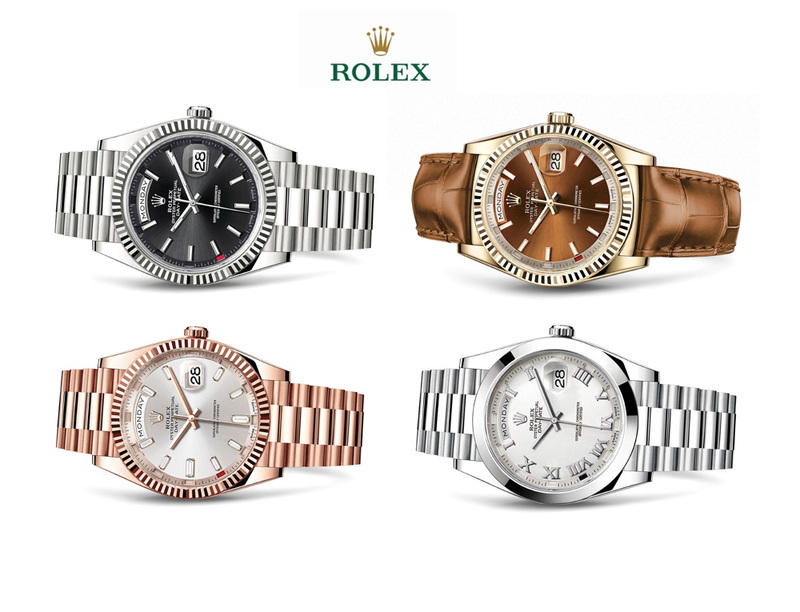 The immense possibilities of different dial designs would give Rolex plenty of possibilities to come yearly up with new looks. 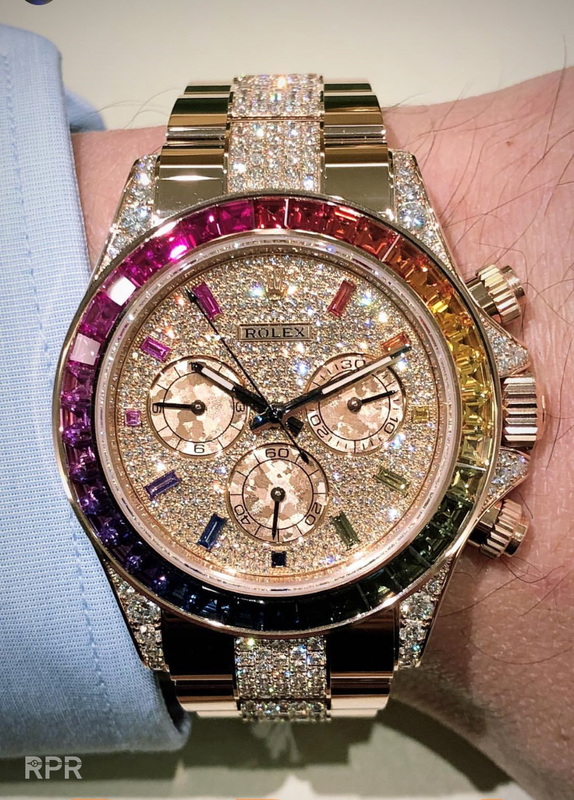 This new chrono will of course not become a limited edition but I could imagine Rolex would rather announce that it will be made for a limited time, like 3-5 years and then stop the production, creating a future classic collectable. 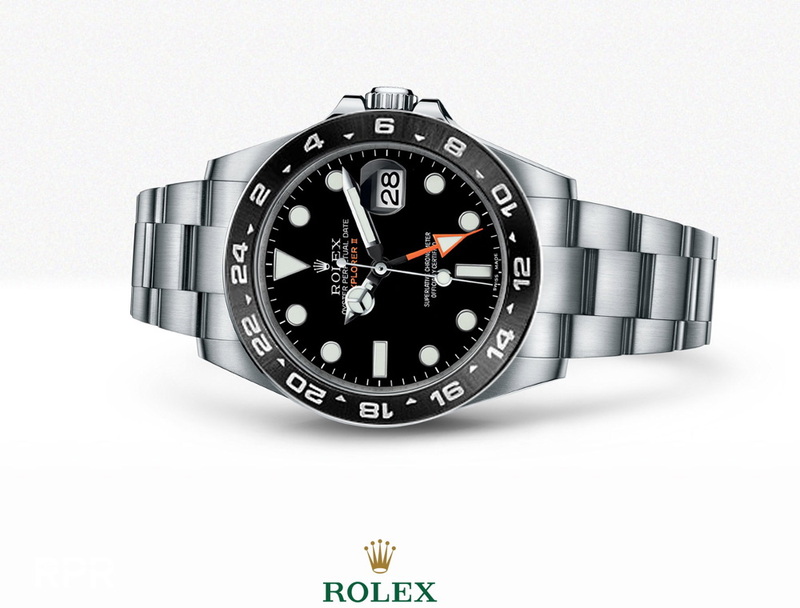 Find below a quick photoshop I made to show you the possibilities. 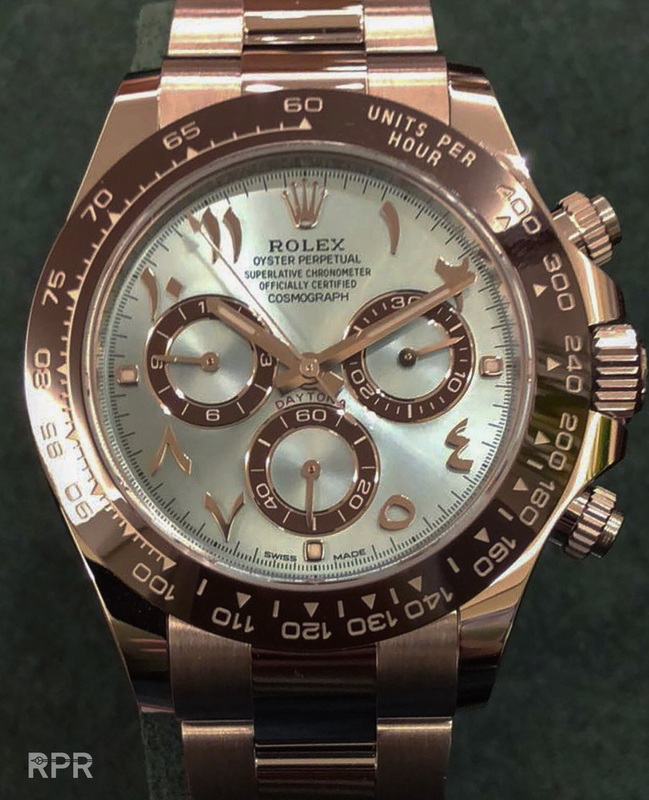 Once this chrono has been adopted, many different dial, bezel and pusher designs are possible to honor the world renowned early Oyster Chronograph’s in an elegant way. 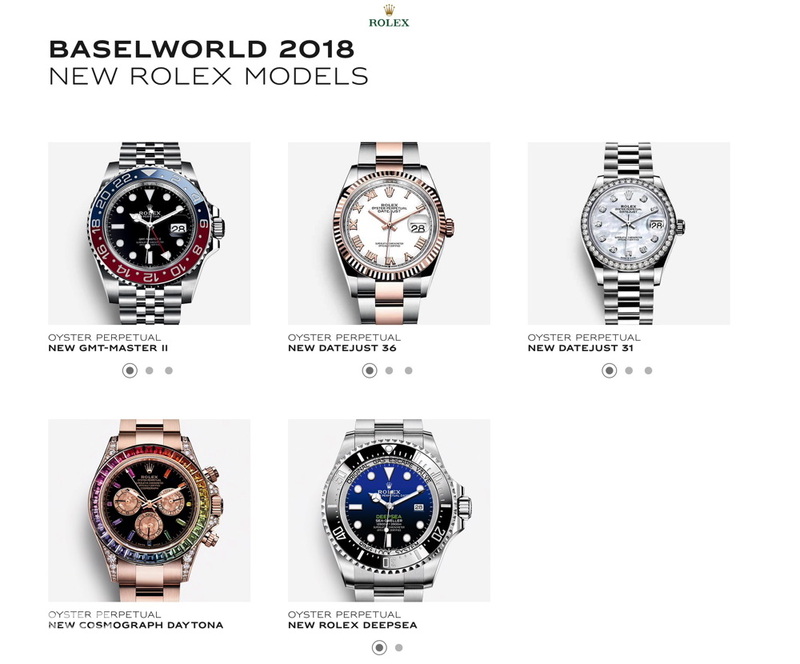 It’s always useful to check out the patent register to get an idea what is Rolex protecting for the future. 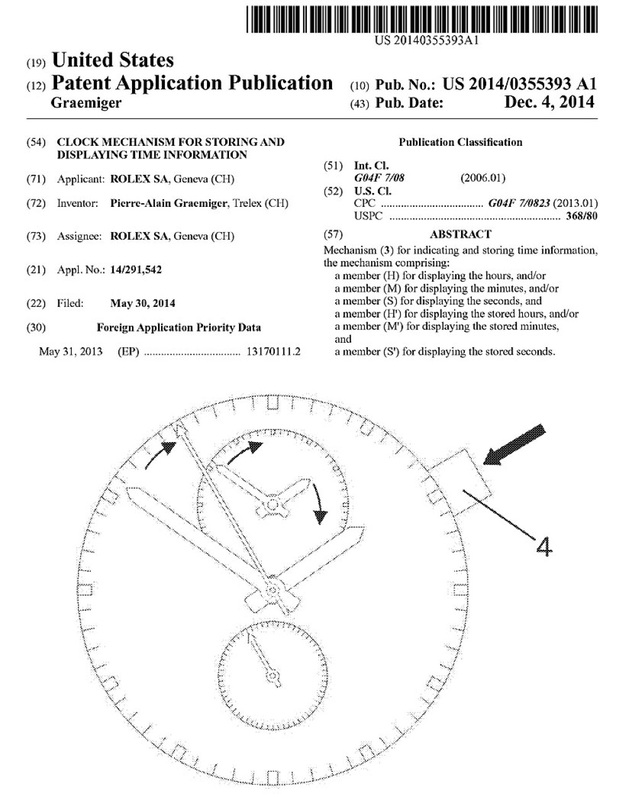 December 2014, more then 3 years ago, Rolex patented a “Dual Time Chronograph” that could be ready for production after intensive testing by now. 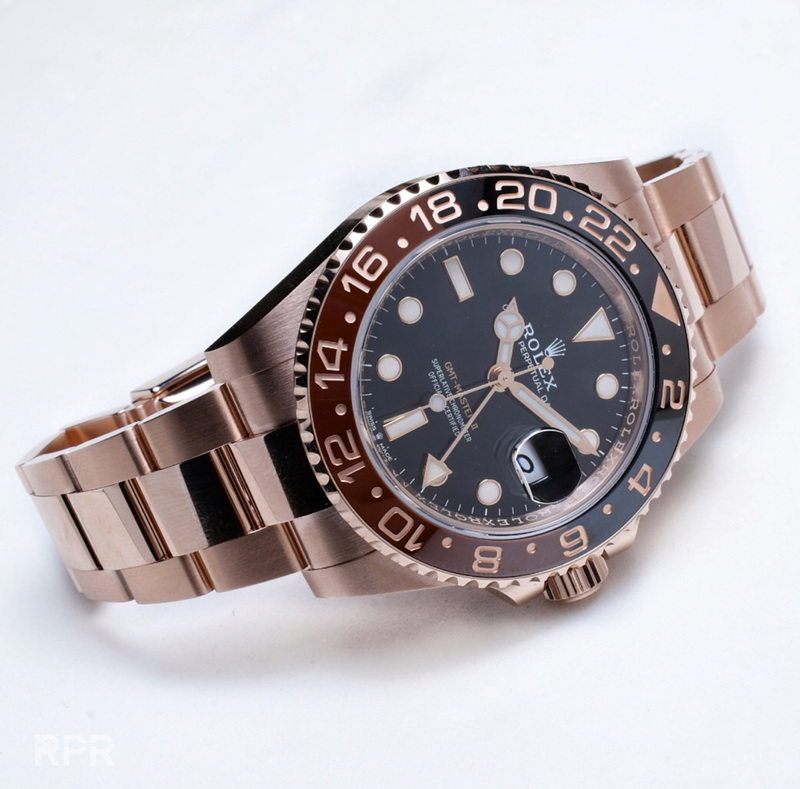 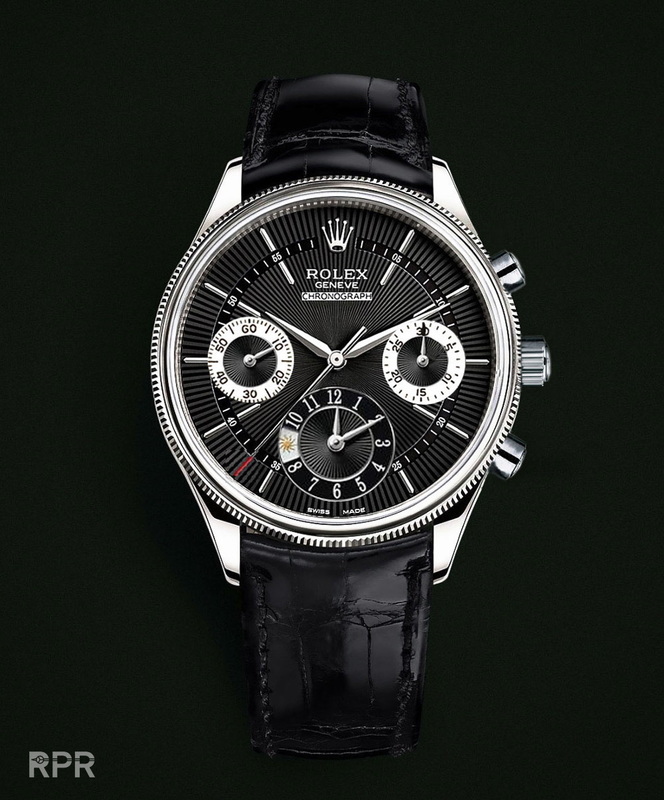 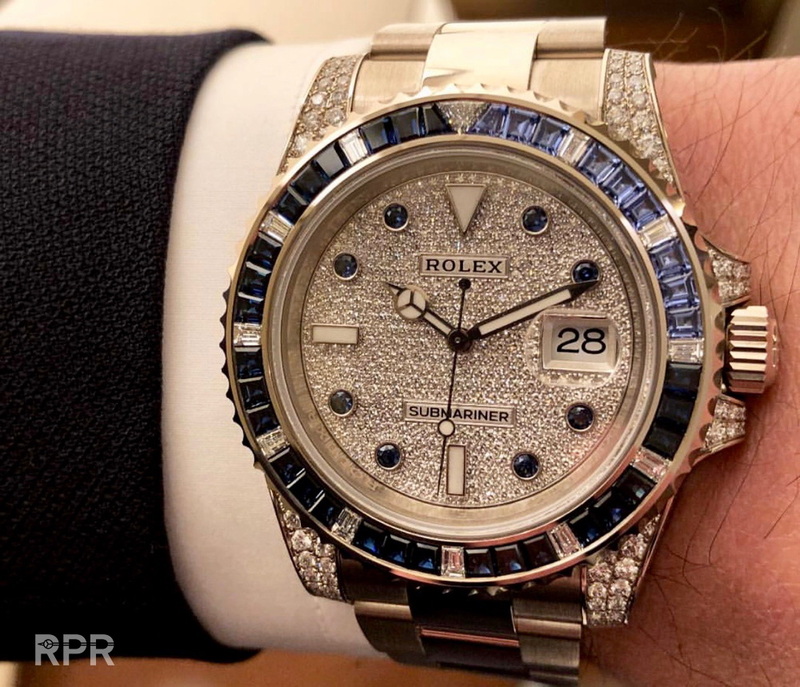 In the upcoming months to Basel I will update this article with more possible Rolex Basel News for you so stay tuned! 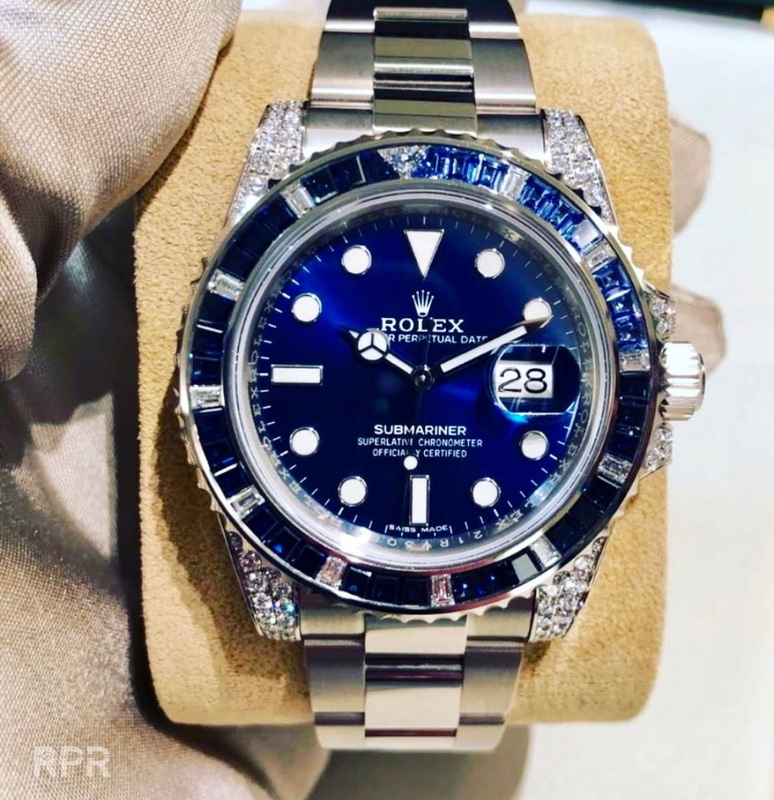 This post was written by Philipp on March 15, 2018.